WWE and Atresmedia have agreed to deal to air WWE’s flagship programmes Raw and SmackDown in Spain. 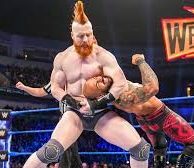 Every weekend strating April 6th, Megawill air a two-hour version of Raw on Saturdays and SmackDown on Sundays, both with Castilian Spanish commentary. “We are truly pleased to continue our successful association with WWE. With this expanded line-up of content and programmes, we confirm our commitment to being the best home in Spain for one of the biggest entertainment brands in the world, WWE,” commented Luis León Luri, head of themed channel programming for Atresmedia Televisión. In addition, This Week in WWE and Total Divas, Seasons 1-4, will be available for viewing on demand on the ATRESplayer. Wrestlemania 35, the company’s annual flagship PPV extravaganza, will air this Sunday on the WWE Network and Sky Sports Box Office.